We can come to your doorstep to replace & repair your Door & Window locks, replace keys and secure your property. Do you Need Keys Copied? We have an extensive stock of new Door locks of all types available to purchase for self installation. We can help you find the right lock to suit your needs, at the right price! We provide a Precision Key Cutting Service, from our Worcester shop. We can precision cut key copies, cut spare keys, cut replacement or cut new keys for you. While you Wait or Ready to Collect later. We can repair & replace your Door & Window Locks and cut new keys. 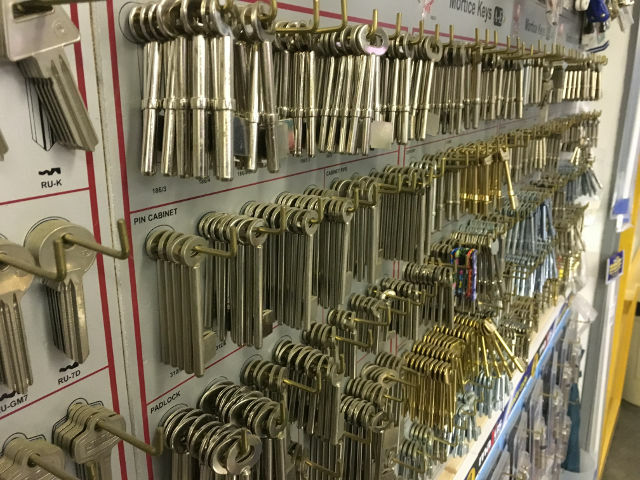 We have an extensive stock of replacement door, window, & patio locks for you to choose from, to ensure you your lock is fitted quickly. We provide onsite Locksmith services, providing repairs or replacement door & window locks, and key cutting for Businesses, Commercial property owners, Landlords, Schools & Colleges. Key2Secure offer an emergency 24 hour locksmith service covering Worcestershire and surrounding areas, and where possible are able to send a locksmith to your home within 30 minutes of receiving the call. Key2Secure Locksmiths have been helping the residents of Worcestershire for more than 9 years, so we know a thing or two about locks! We cover Worcester, Droitwich, Pershore, Evesham, Kidderminster, Malvern and many other places.